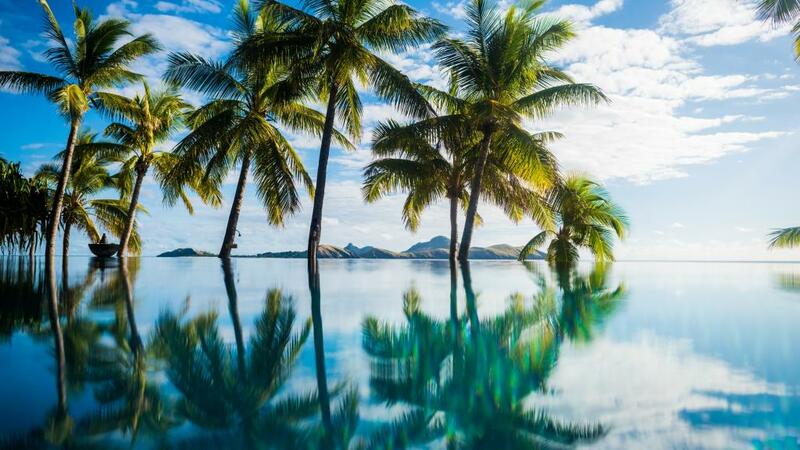 Just hours from Australia’s east-coast, Fiji promises white sands, gin-clear waters and the gentle sway of tropical palms. In short, Fiji is the ultimate destination holiday for our next girls’ getaway. Set on the stunning Tokoriki Island in the north of the of the Mamanuca Group, this exclusive resort not only offers visitors a private escape but it’s strictly adults only, so guests are guaranteed a restful experience all holiday long. Enjoy beachfront bliss with bures opening directly onto the golden sand that rings the island. With its own reef and stunning swimming pool, you and the girls can enjoy waterlogged days spent between the sea and pool. Discover luxury in the dreamy Sheraton Villas, located just 20 minutes for Fiji’s international airport. Strategically situated, guests can make it from tarmac to poolside in under 30 minutes – something we’re always looking for in a holiday. Set among a string of ornamental lagoons and gardens, this is a girl’s escape centred around total relaxation. Enjoy renowned restaurants and bars by night, while spending the afternoons in pampered bliss at the Heavenly Day Spa. Find paradise in this water bound eco resort on Fiji’s island of Vanua Levu. Enjoy 17 acres of secluded villas and bures at the Jean-Michael Cousteau Resort, a stunning fusion of contemporary luxury and traditional Fijian design. With 4 swimming pools and an exclusive day spa, this will be a holiday the girls won’t be forgetting in a hurry.